The online shop is managed by SAVIN. 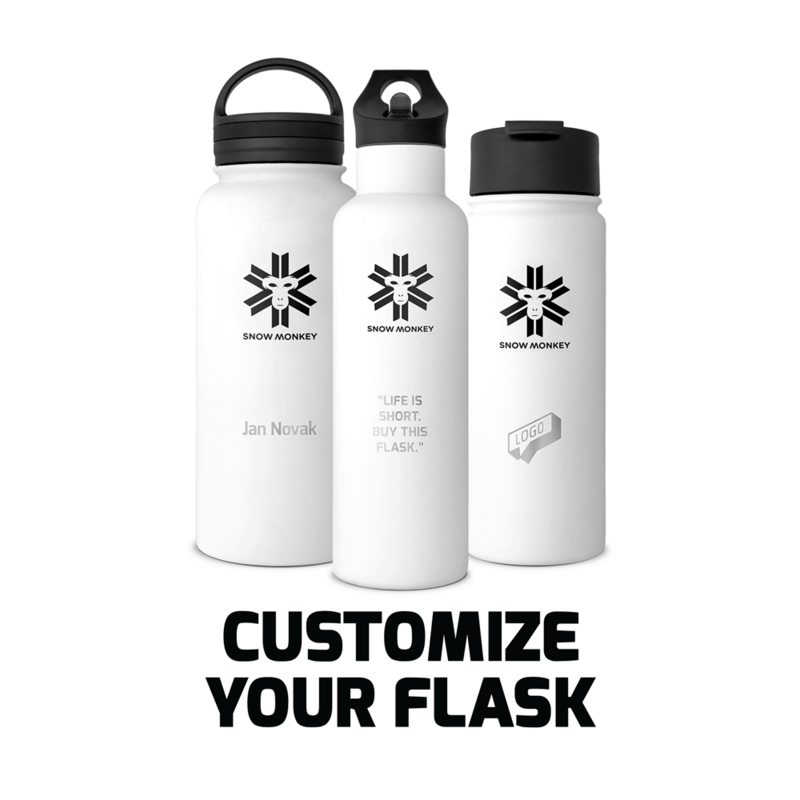 Online orders can be used by any consumer who has accepted the terms of using the website snowmonkey-flask.com and the terms and conditions of online ordering. The terms and conditions of the online order include the ordering system on the website snowmonkey-flask.com, consumer rights and the business relationship between the consumer and SAVIN. In this step, provide general information that will be stored in the webshop’s database and thus facilitate your next visit, because the user data renew during registration and therefore there is no need to always re-enter them, but registration with a username and password is enough. The payer’s address can be different than the purchaser’s or the same. Simply select the existing address or enter a new one. The delivery address can be different from the data of the purchaser, or the same. Simply select an existing address or, if necessary, enter a new shipping address. You can choose different means of delivery. The shipping costs, surcharges for delivery, and packaging costs must be paid for each order. If you want to pay via bank transfer, you will receive an email at the address you have registered with the application. Paypal payment. You will be guided through the payment process on the checkout page. Credit card payment. You will be guided through the payment process on the checkout page. Once we receive your request, we will send you a summary of your order by email.For further information about your order, you can reach us at info@snowmonkey-flask.com. Products on snowmonkey-flask.com can be bought without a creating user account. After sending the order, the customer will be informed about acceptance by email . SAVIN may call the customer to verify data or confirmation of delivery. The purchase process for legal persons is the same as for natural persons, only at the end of the purchase, the company and the tax identification number of the company need to be written. The payment options are the same. With contracts completed from a distance, the consumer has the right to withdraw from the order within 14 days and inform the company by email (info@snowmonkey-flask.com) or another communication channel, without giving reasons. The consumer must return the goods within 14 days after notification of the cancellation of the contract. The consumer delivers the goods to the following address: SAVIN d.o.o., Glavni trg 51, 3313 Polzela, Slovenia. The only costs incurred to the consumer in relation to the cancellation of the contract are the costs of returning. The consumer must return the product to the seller undamaged and in the same amount, unless the product has been destroyed, damaged, lost or their quantity is reduced, without the consumer’s complicity. Also the bill must be enclosed to the return, personal data, and the bank account to which they wish the refund. The refund is issued within 14 days after receipt of order cancellation. The seller is liable for defects with the goods, as the risk has been passed to the customer, regardless of whether this was known or not. The seller is also liable for technical errors that occur after the risk has passed on to the customer if these are the result of an appeal that existed before. Minor factual errors are not accepted. SAVIN d.o.o. uses appropriate technical and organizational tools to protect the transmission and storage of personal data and payments. SAVIN will make its best efforts to ensure fast and accuracy of the published data on its website. SAVIN uses appropriate technical and organizational tools to protect the transmission and storage of personal data and payments. We reserve the right to shut down the website or to disable access to it due to technical or other problems and maintenance, which can make access to the website difficult or impossible. For technical problems on the site, we reserve the right to cancel orders that are affected by a technical problem. In the event of cancelled orders we will inform customers thereof as soon as possible and start the next steps. But customers themselves must use adequate software protection (antivirus, etc.) before accessing the website and registering. The buyer must ensure adequate security and confidentiality of the data that are needed when you log in to the website (email, password). SAVIN conforms to the European legislation on consumer protection. SAVIN strives to meet its obligation to provide an effective system for dealing with complaints and to designate a person in the event of problems to connect with the customer by phone or email. Complaints must be sent by email to info@snowmonkey-flask.com The complaints procedure is confidental. SAVIN will confirm within five working days that they have received a complaint. They will keep the customer updated about the duration and solution. SAVIN is aware that it is typical of consumer disputes that, at least insofar as they are possible to solve, the economic value of the application and the costs incurred in resolving the dispute are disproportionate. It is also a major obstacle for the consumer to initiate proceedings in court. Therefore SAVIN always tries to resolve its disputes. In the event of a judicial settlement of disputes, the court in the consumer’s place of residence holds jurisdiction.